Simplylive is providing a new breed of SloMotion solution to the market. 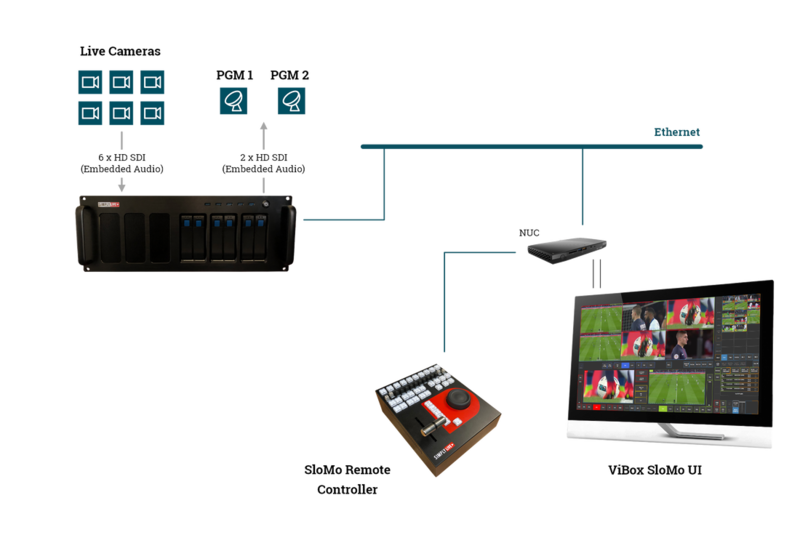 Based on the powerful ViBox technology, we have taken our extensive experience in slow motion to build a new approach to the replay environment. Based on the popular experience of gaming and day to day phone touchscreen experience, Simplylive has based its new interface on a combination of touch screen and gaming control action. The new interactivity takes advantage of all the finger memory developed during the hours of gaming experience that most of the under 35 have gained over the last 15-20 years for the transport control functions. Similarly, the development approach takes advantage of the intuitive touchscreen solution for the multi-selection functions. We are making it obvious and instant to the new generation of operators while adding excitement to the ability to create enriched content for professional media production. We want our users to focus on the editorial aspects and not to spend time in learning a new system. In implementing this well known technology, the learning curve is immediate and the operator base is easily scaled with a large resource base.